This period of the middle ages has left its mark on southern France, above all in the castles around Carcassonne and Languedoc-Roussillon that are now referred to collectively as the Cathar castles. 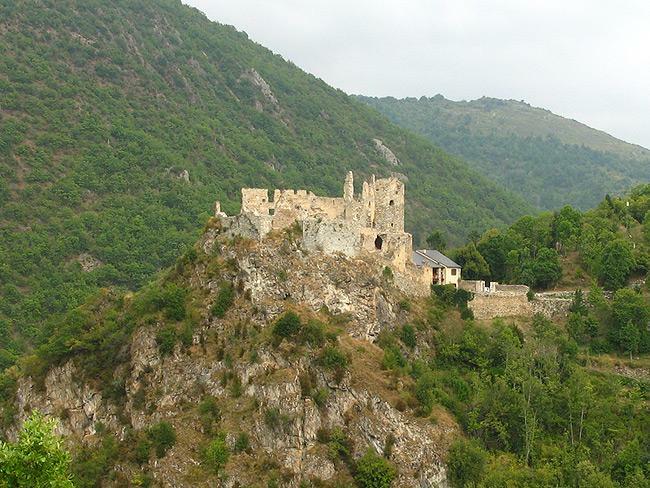 The cathar castles were already built at the time of the oppression (i.e. 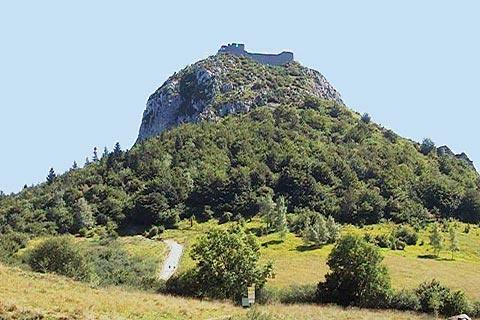 they didn't build them themselves) and were occupied by the cathars because of their defensive positions. Note also that the word cathars did not exist at that time, but that is of little importance for your holiday! 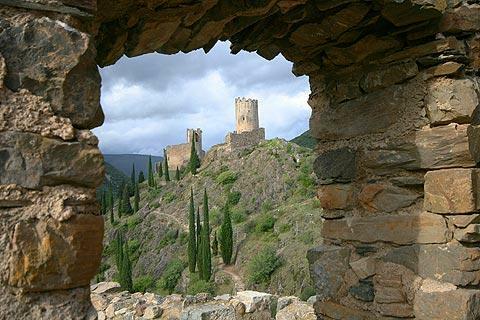 The cathar hill castles are found in the eastern end of the Pyrenees, near the Mediterranean coast of Languedoc-Roussillon. 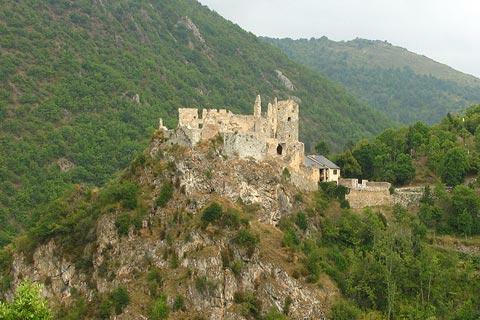 There are several renowned castles that were occupied by the cathars during the 13th century, almost always remotely placed on craggy cliff tops. Perfect to defend, if rather complicated to live in and keep supplied with food and water. As you explore the castles you will also learn more of their history, of the struggles and defeats that they faced, and the violent lengths the crusade went to in order to ensure the end of the cathars. A large number of cathars were slaughtered in the most brutal ways imaginable. 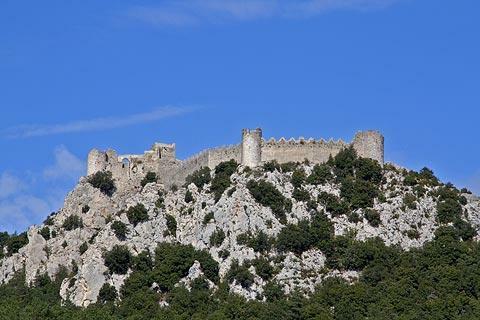 If you are planning to visit the cathar castles, note that while access is relatively easy nowadays it does still involve walking up some quite steep rock paths and access may be difficult for those with restricted mobility. 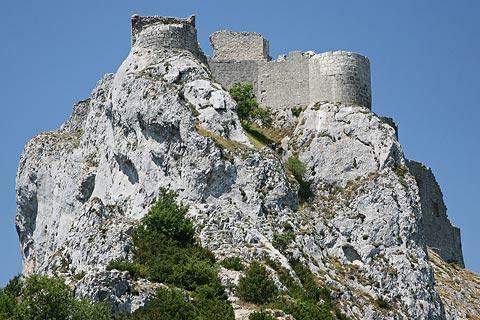 The two most important of the cathar castles for visitors are Chateau Queribus and Chateau Peyrepertuse. Both of these castles are about 40km north-west of Perpignan. Queribus was a very important refuge for heretics during the crusade against the Albigenses. Set high above the pretty village of Cucugnan, it has magnificent views in all directions - inland across Roussillon and to the east across the Mediterranean. 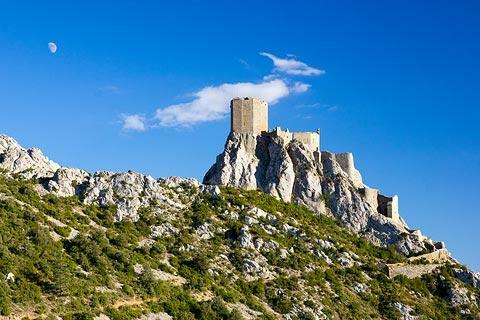 The nearby castle at Peyrepertuse is claimed to be the finest example of medieval architectural architecture in Languedoc, and is poised along its jaggy cliff top high above Duilhac. Like Queribus, Peyrepertuse has fabulous views in all directions. Some of the other important cathar castles in the area include Puilarens, a little further west, and Aguilar and Padern further to the east. 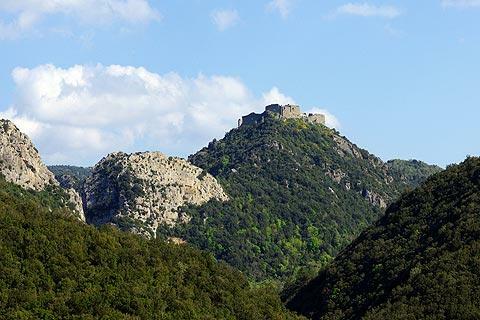 On a stony ridge in the Aude you can also visit four castles together known as the Lastours Chateaux, and if that still isn't enough of the cathars and their strongholds head off to Montsegur for another.